The paper presents possible provisions used to reduce acoustic-noise load on urban areas residents. The issues of applying noise-control options like sound-absorbing and soundproofing screens as well as resonance absorbers are considered. Calculation options of some key parameters for sound-absorbing devices are presented. According to the results of laboratory studies of resonator sound-absorbing properties effectiveness we can say that silencing polyharmonic resonators turn out to be the most effective ones. It is possible to design a resonator with sufficient uniform acoustic-frequency response that provides sound absorption either across the range or across the noise maximum intensity range. The most viable option to use such a resonator is its combination with an acoustic screen by assembling them into a single unit. In this case, the protective functions performed by the screen will be complemented by the absorption of the incident sound wave on the screen which will reduce the level of the reflected signal. Keywords: noise, noise pollution, soundproofing screen, resonance absorber. Minina N.N. Noise reduction in road building. Abstract of the thesis for the degree of Ph.D. – S.Pb., 2006. Ivanov N.I. Protecting the public from high noise exposure // Supplement to «Safety life», 2011, № 10. Kalinichenko M.V. Some aspects of the problem of pollution in urban areas motor vehicles (for example, Murom) // Ecology and Industry of Russia, 2012, № 12. – Pp. 54-59. Ivanov N.I., Semenov N.G., Tyurina N.V. Acoustic screens to reduce noise in residential areas // Supplement to «Safety life», 2012, № 4. Bulkin V.V., Belyaev V.E., Sergeev V.N. Engineering design elements of RES in terms of mechanical and acoustic effects / Edited by V.V. Bulkin. – Murom: Polygraphic center MI VlSU, 2004. – 131 p .
Ivanov N.I. Engineering Acoustics . Theory and practice of noise control: a tutorial. 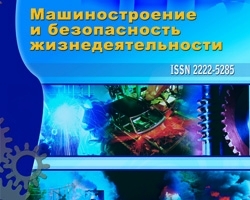 – Moscow: University Book, Logos, 2008. – 424 p.
Application for PM, № 2013121429/03, E01F8/00. Noise reducing screen / Bulkin V.V., Kalinichenko M.V., Filkov D.E., Shtykov E.A. – Priority from 07.05.2013. Application for PM, № 2013121443/03 , E01F8/00. Silencer / Bulkin V.V., Kalinichenko M.V. – Priority from 07.05.2013.